ALLEN PARK, Mich. (AP) — The Detroit Lions had a lot of possible factors to weigh before trading Golden Tate. The Lions are in last place, but only a game out of first. Tate is on pace for a third straight season with 1,000 yards receiving, but he’s on an expiring contract. “There are a lot of difficult decisions that are made in the NFL multiple times during the course of the year,” Detroit coach Matt Patricia said Wednesday. 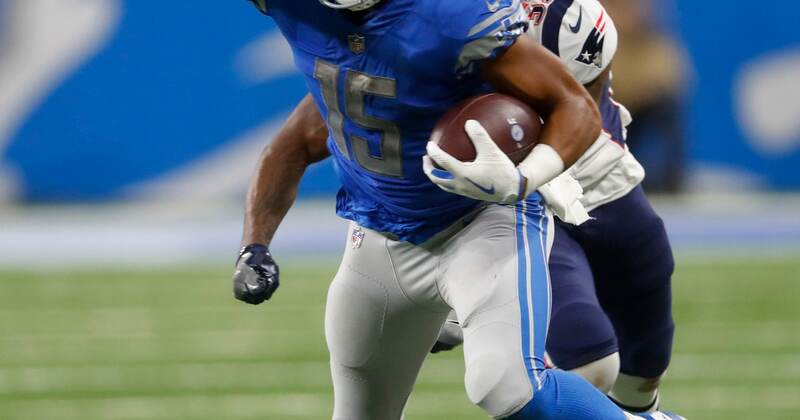 The Lions dealt Tate to Philadelphia on Tuesday for a third-round draft pick, parting with the veteran receiver right before a pair of crucial divisional road games. Detroit faces Minnesota this weekend and then heads to Chicago, but the trade — which didn’t bring the Lions anyone who can help this season — was clearly a move made with the long-term future in mind. General manager Bob Quinn released a statement Tuesday thanking Tate for his contributions, but it was left to Patricia to take questions about the organization’s thinking. Tate is in the final season of his contract, so from that standpoint the Lions got decent value for a player who may have ended up elsewhere anyway. But it’s hard to say what this year’s team could have accomplished with Tate. Detroit fired coach Jim Caldwell after he went 9-7 last season, an indication the organization felt it was capable of more. Now the Lions have sent mixed signals about what they feel their potential is in 2018. Before last weekend’s game, Detroit sent a draft pick to the New York Giants for defensive tackle Damon Harrison, a move that could help shore up the run defense. Then the Lions lost to Seattle last weekend and traded Tate. Still, Tate’s production won’t be easy to replace. NOTES: The Lions signed LB Kelvin Sheppard, signed DE Alex Barrett to the practice squad, and released TE Jerome Cunningham from the practice squad. … DE Ziggy Ansah (shoulder), T Taylor Decker (back), G T.J. Lang (hip) and RB Theo Riddick (knee) were limited at practice.